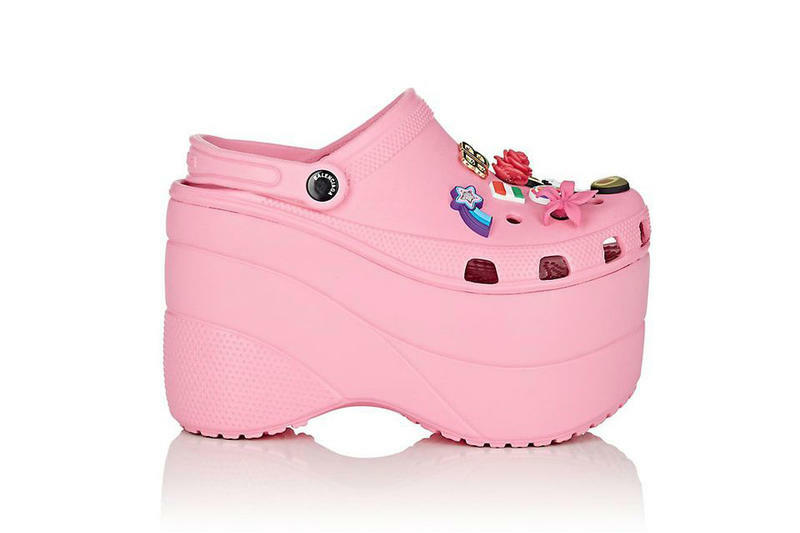 Home » Lifestyle » Would You Dare to Wear Balenciaga’s Luxury Crocs? 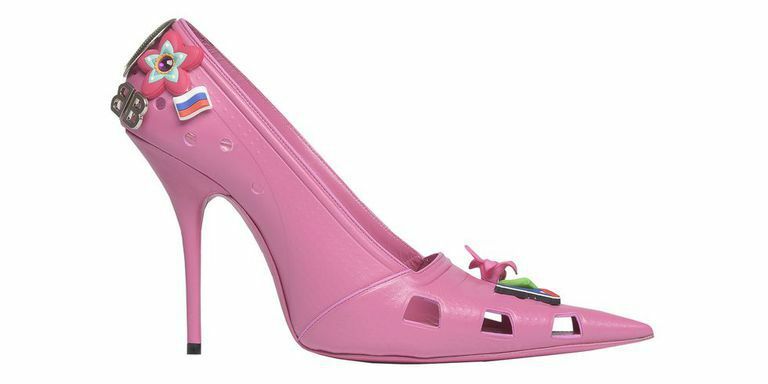 Balenciaga has revealed its latest collaboration with Crocs in the form of a bright pink, rubbery stiletto with badges of flags and flowers. The new high heels follow the high-end fashion brand’s 10cm-foam platform Croc – now available here – that sold out its first pre-order. London designer Christopher Kane sold his own crystals-laden collaboration with Crocs for $375 a pair last year. 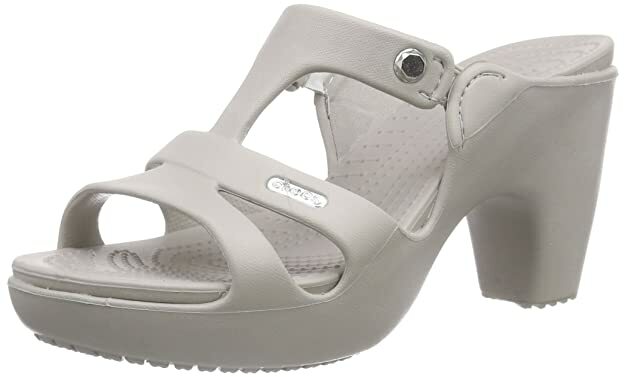 However, anyone who dares to wear such designs may be relieved to see Crocs has released its own heels at a considerably lower price available on Amazon. Despite setting the online fashion community ablaze, few commentators have been able to reason with this apparent trend. On the other hand these deliberate provocations seem to fit the evolving narrative of pop art and camp in high fashion as championed by brands like Supreme. The skate shop has achieved a cult-like following with queues forming around its handful of just five stores around the world at each weekly product drop. The eagerly-anticipated stock? Among fairly typical t-shirt collaborations are “accessories” such as fire extinguishers, hammers and even a brick that have proved some classic and very expensive statements. Perhaps high fashion ostensibly reclaiming infamously ugly designs is a means of playing with this concept that recalls the emperor’s new clothes as a new name suddenly transforms the reputation of the outcast. The new pink Balenciaga high heels seem to have ventured so far from the Crocs design that only the rubber material really remains. What will be the legacy?